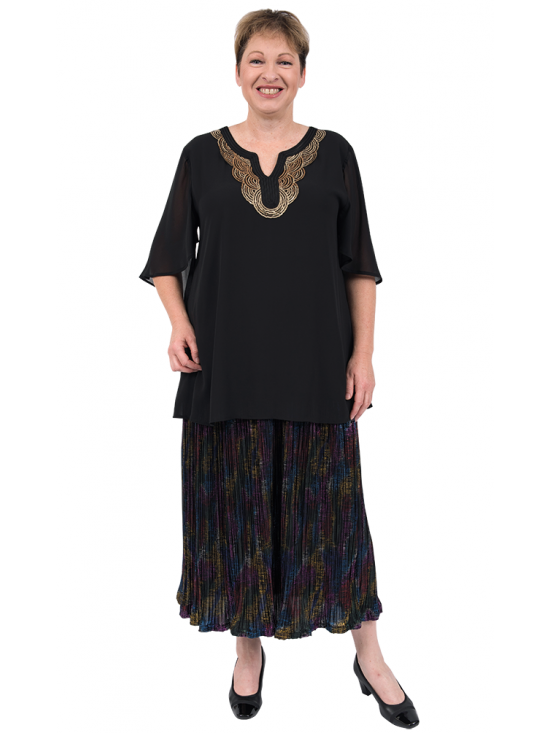 Elegant, lightweight, plus size black crinkle skirt is a beautiful look for summer. With black flat elastic waist and shot through with bright multi-coloured, shimmering metallic thread, it's perfect to add a touch of glamour to your outfit. Team it with our new ruffle tops, in black or fuchsia, for a gorgeous look for your next party or special event.